KARACHI • A mute and deaf Indian woman who has been stuck in Pakistan for more than a decade because she cannot remember where she came from may have finally identified her family, according to the charity looking after her. The new ray of hope for the woman, known only as Ms Geeta, believed to be in her early 20s, came after the Indian High Commission in Islamabad sent her a photograph of a family, whom she said she recognised. The Edhi Foundation, Pakistan's largest charity which has been caring for Ms Geeta since she was found 13 years ago, said it was trying to arrange a Skype video call with the family, reported to be based somewhere in India's Bihar province, to confirm their relationship. Officials from the foundation hope to accompany Ms Geeta to India before the end of this month. 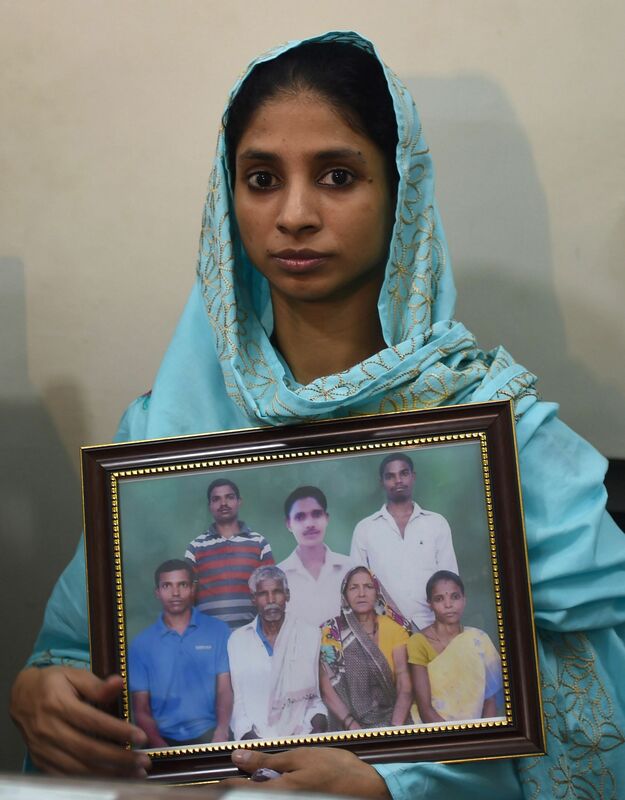 Ms Geeta was 11 or 12 when she was found by police alone and disorientated with no identity papers on a train that had crossed the border from India into the eastern city of Lahore. She was believed to have strayed into Pakistani territory by mistake, but could not remember or explain exactly where she was from. Unable to identify her or her family, Pakistani police handed her over to the Edhi Foundation. She now lives in one of the foundation's shelters in Karachi. Even the name "Geeta" was given to her by Edhi staff. The Indian government confirmed Ms Geeta would return and said DNA tests would be used to confirm her relation to the family. "Our bringing her back does not depend on whether or not we discover her parents. She is a daughter of India... we will be bringing her back very, very shortly," said Mr Vikas Swarup, India's foreign ministry spokesman. He did not specify a date.